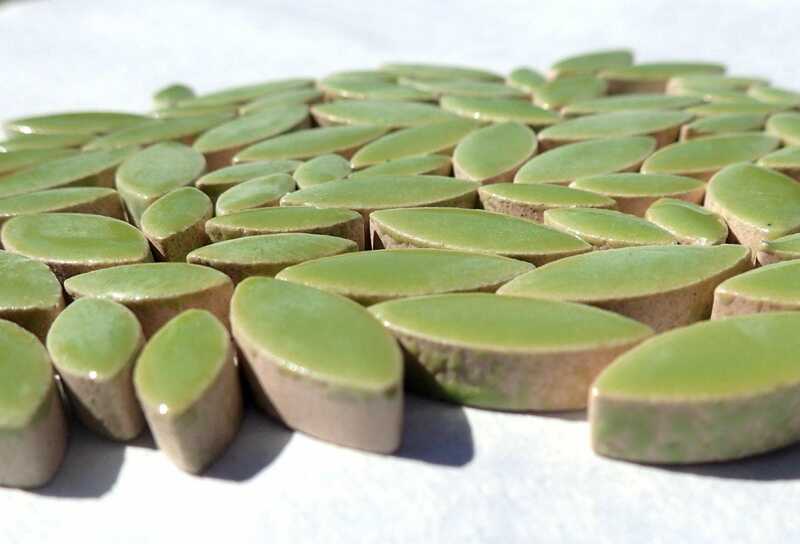 Kiwi Green Petals Mosaic Tiles - 50g Ceramic Leaves in Mix of 2 Sizes 1/2" and 3/4"
These petal tiles come in a mix of 2 different sizes: 1/2" long and 1/4" wide (13mm x 6mm) for the smaller petal, 3/4" long and 3/8" wide (20mm x 9.5mm) for the larger petal. 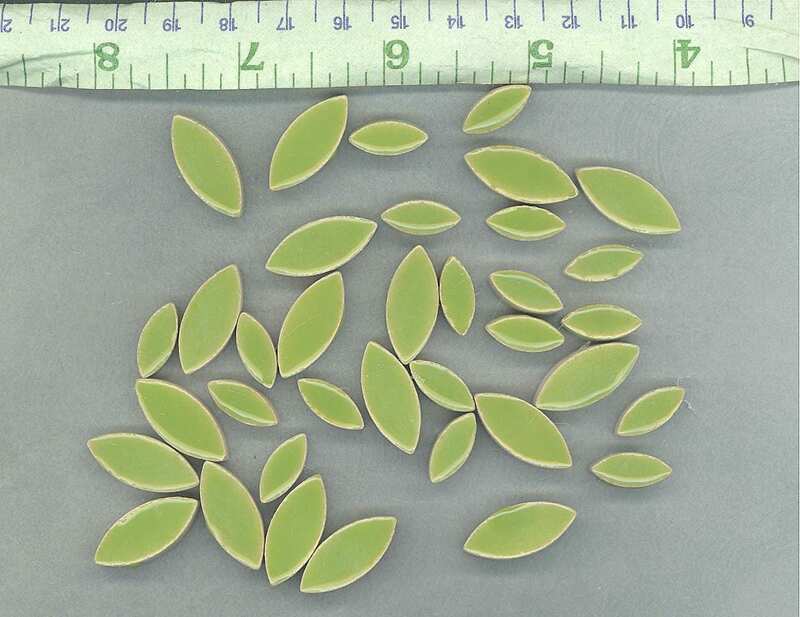 Each petal is 1/5" (5mm) thick. 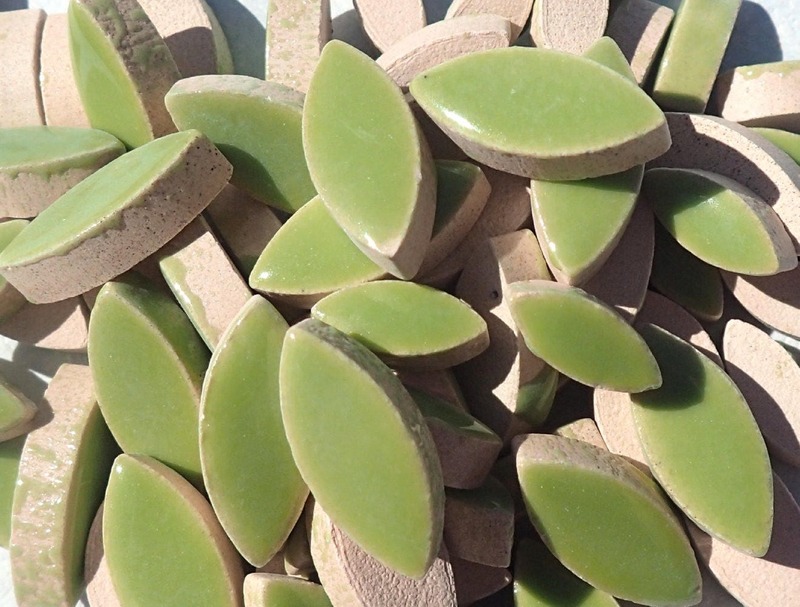 While petals are obviously perfect for flowers, they also work for leaves and wings, along with other natural shapes. These are a medium green color. 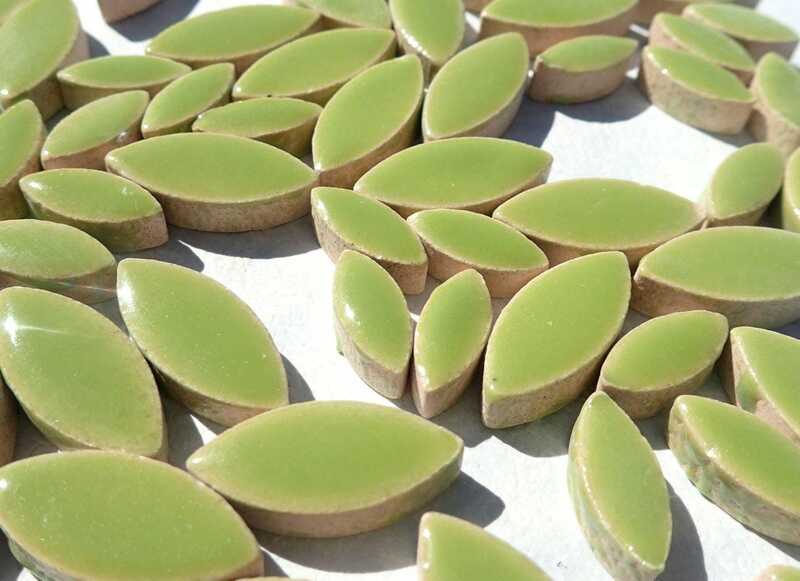 I’ve just started laying out a mosaic, and I’ve been buying tiles gradually until I’m sure what I’ll need. Risa has been so helpful in sending these awesome tiles in stages as I need them. She’s a quick and safe shipper, has a great inventory, and she’s a darn nice lady, to boot. 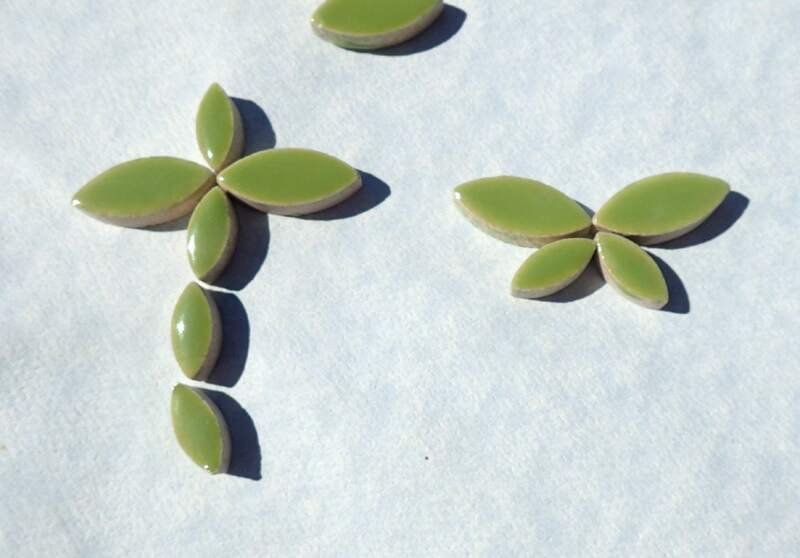 I’ll photograph the finished project, as soon as my muse continues to tell me which tiles to put where! Thanks, Risa! Very nice and arrived in a short amount of time. 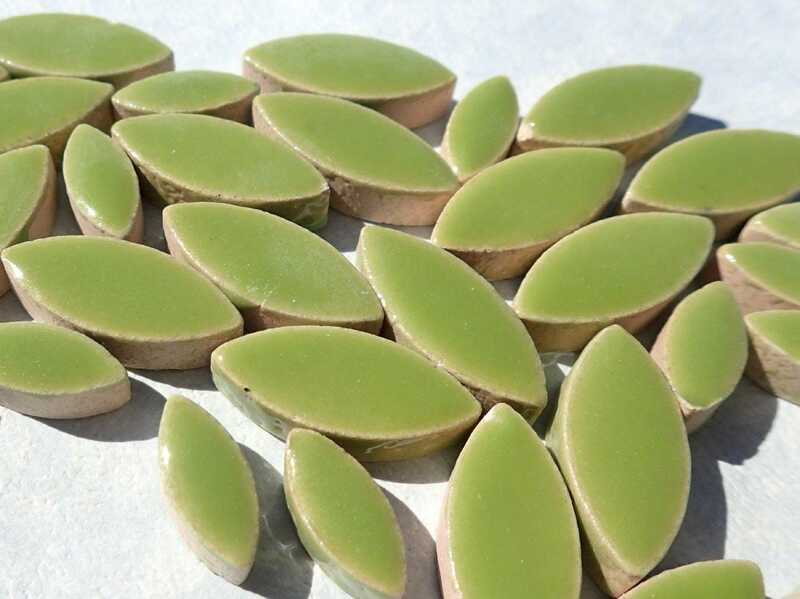 Love to use them in my mosaic.